Fire and smoke spread in concealed spaces within buildings can present both a life risk to occupants and fire-fighters, and cause widespread damage with extensive, difficult, and expensive clean-up and re-instatement. Indeed, in some cases, smoke deposits (and their resulting odour) can never be adequately removed and buildings have had to be demolished. One such concealed space is the roof void and concealed fire spread within roof voids is one of the topics currently being investigated as a component of another DCLG project being carried out by BRE Global on ‘Compartment sizes, resistance to fire and fire safety’. 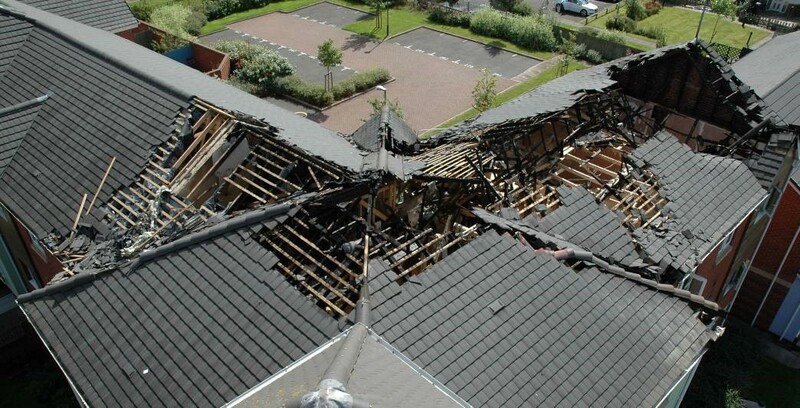 In anticipation of the findings from this research programme, this article seeks to provide an introduction to the issues, considering the “lessons learned” from real fires involving roof voids, and results of poor compartmentation.